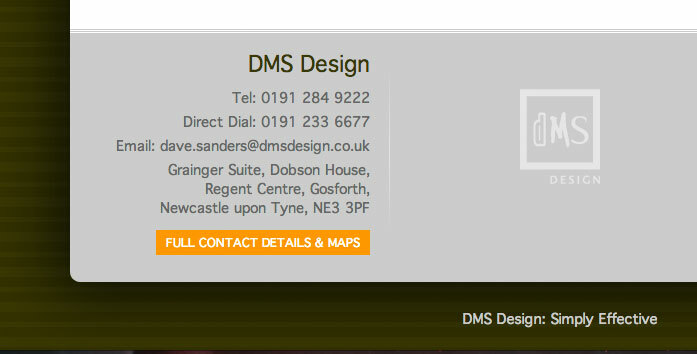 I’m very pleased to have worked with DMS Design on a number of projects including the redesign of their portfolio website. While DMS we’re keen for a portfolio website design they didn’t want their recent work examples to overshadow their range of services. This requirement was implemented on the home page by restricting the portfolio section to a small but significant section. 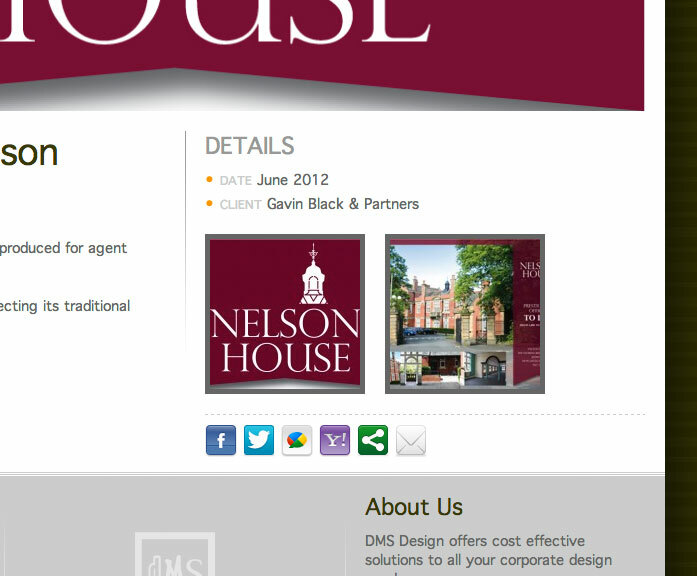 The home page is instead dominated by a beautiful animated carousel highlighting the various services which DMS offers. Key to portfolio website design is the ability to add visually rich content updates quickly and easily. This was achieved throughÂ integratingÂ the widely-established WordPress platform across the website. 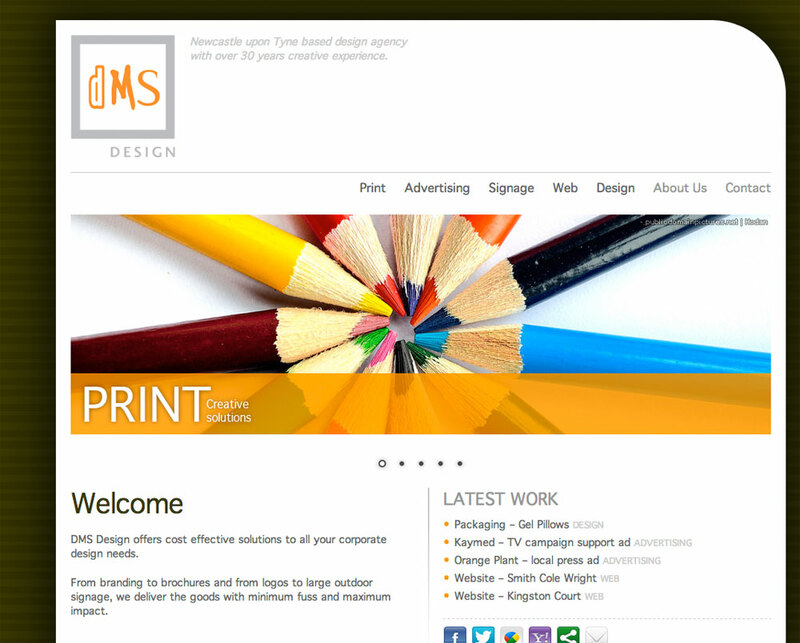 This means that DMS can now simply update their website with a new piece of portfolio work in a matter of minutes. This includes the ability to uploadÂ portfolioÂ images displayed in an attractive gallery. Portfolio website design is a careful balancing act between a visually impressive site and an aesthetically flexible frame from which you can display a range of work. In other words, the site has to look good by itself while also complementing many different styles of portfolio work. Part of our answer to this tension was starting with a colour scheme dominated by neutrals. 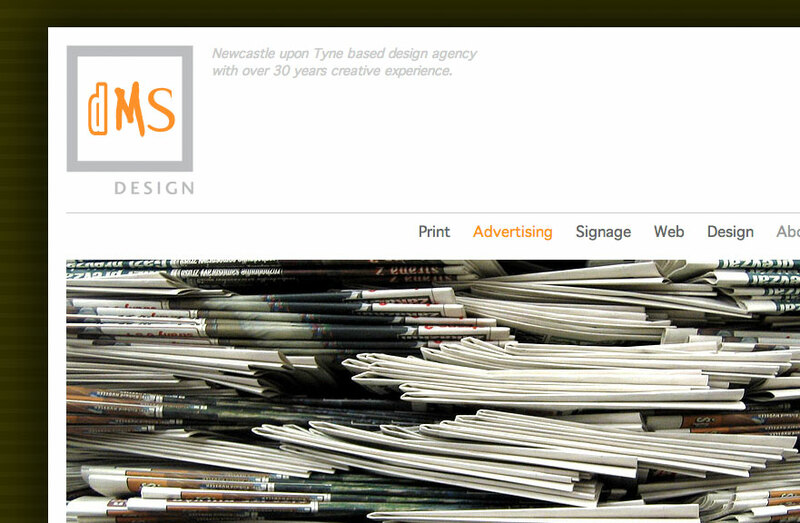 It was also important to keep the layout clean and flexible, and use an attractive and readable font.